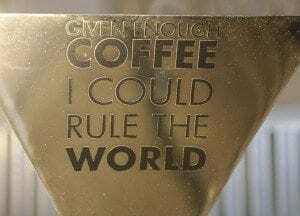 VANCOUVER — When he was a young boy, Kenny Fletcher, owner of Vancouver’s Paper Tiger Coffee Roasters, used to travel from the Pacific Northwest to Arizona with his parents to visit his grandfather. When he purchased the business that is now Paper Tiger Coffee Roasters in 2011, Fletcher wanted to cultivate that same type of small-town, welcoming community feeling. So when Steve Lowry, a teacher from the nearby Washington State School for the Blind approached Fletcher in 2012 with a favor, the community-minded coffee roaster didn’t hesitate. 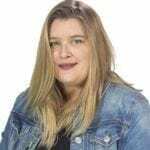 As it turned out, teaching a visually impaired student to roast coffee wasn’t as big of a hurdle as it first seemed, Fletcher says. Fletcher takes on one new roasting apprentice from the School for the Blind each year and trains them on the basics of roasting and packaging coffee beans. Together, the coffee roaster and student create the shop’s seasonal Liger Blend — a smooth blend of Brazilian and Nicaraguan coffee beans with caramel notes that Fletcher calls “an everyman’s coffee.” Proceeds from the Liger Blend sales go back to the School for the Blind. And Fletcher’s training keeps giving back to the school in other ways, too. Once the students have completed their typically yearlong, twice-a-week training at the coffee roastery, they take their new coffee-roasting skills back to the school and teach three or four other students how to roast beans on the school’s coffee roasting machine. 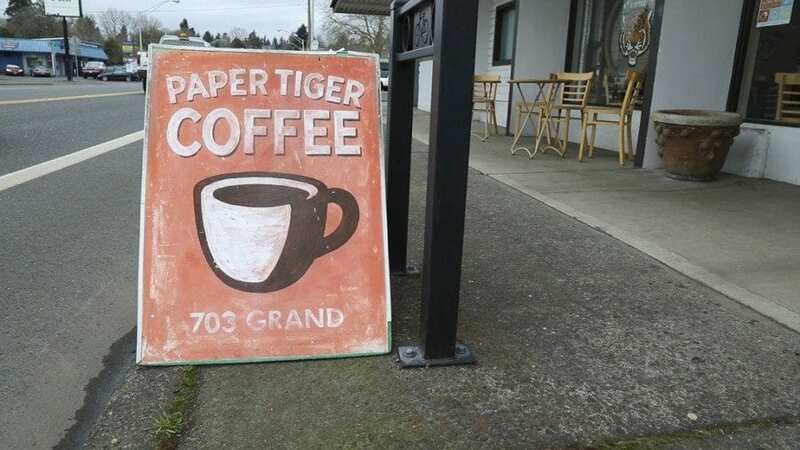 Paper Tiger Coffee Roasters is locatecd at 703 Grand Blvd., in Vancouver. Some even take their new skills with them once they’ve graduated high school. In fact, one of Fletcher’s former roasting trainees — now an adult living in Idaho — has even applied for grants to help him open his own coffee roastery. Jordan Raze is Paper Tiger’s most recent roaster-trainee. There are, of course, exceptions to this rule. 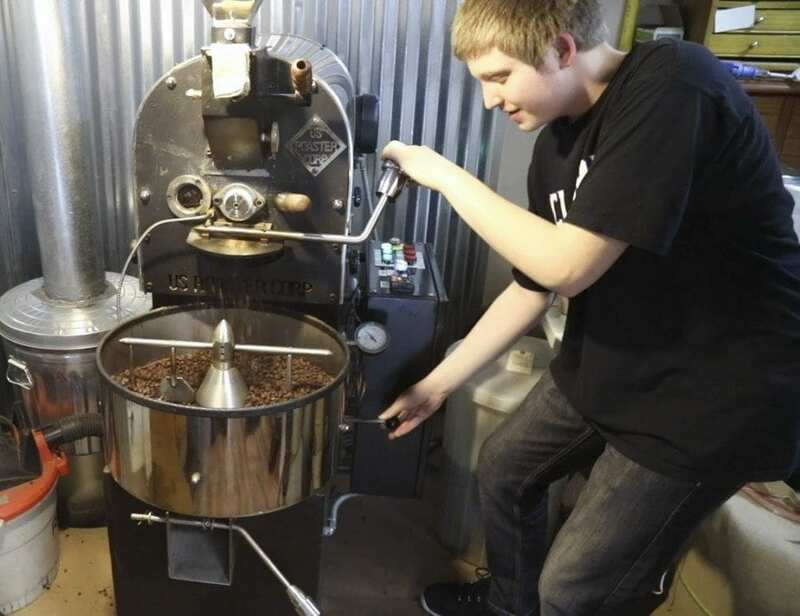 For instance, Fletcher’s most recent roaster-trainee, 16-year-old Jordan Raze, came into the program having already worked at several other places. Training for the students as roasters is about a year long, twice-a-week. Once completed, the students take the skills to the school to teach three or four others at the school’s coffee roasting machine. Bad winter weather prevented Raze from starting his training in early January, as he’d planned, but now the sophomore has learned to make his own way from school to the coffee shop twice a week and has, after just a few days’ worth of training, taken to his new role like a pro, Fletcher says. Raze’s enthusiasm for his work is contagious. Within just a few minutes of talking to the young roasting apprentice, you want to know more about how the heat of the coffee roaster brings out different scents in the beans and what happens if you take a roast too far or pull it too soon. Finally, adds Fletcher when the two are roasting on the machine together, Raze will try to decipher a chocolate-nutty scent coming from the beans. Combined with the automated temperature and time cues, the young roaster will make sure that he stops the roast before the beans become over-roasted. Paper Tiger Coffee Roaster owner Kenny Fletcher held a fund raiser to buy a braille labeler and an auto thermometer that calls out the temperatures. The students have sound and scent cues to help them with their roasting and, if they’re in a bind, they can read the braille labels Fletcher’s affixed to the machine’s critical switches. And, of course, Fletcher is always around to provide assistance should the students need help. 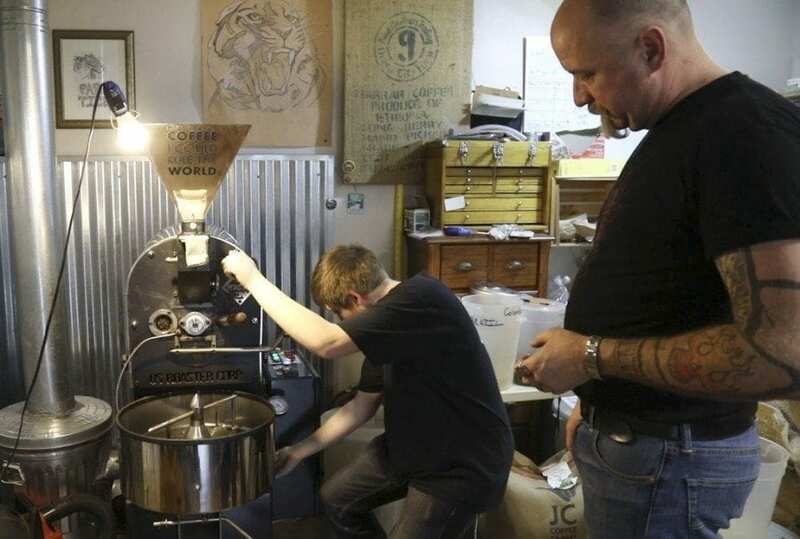 Once he’s finished his training with Fletcher, Raze says it should be pretty simple to figure out the School for the Blind’s coffee roasting machine and teach other students how to roast coffee for the school’s cafe. The 16-year-old throws his head back in laughter. Fletcher jumps into the conversation. “Yeah, we can make you a mocha. Get a little caffeine kick,” he tells his new apprentice.